Sometime back I challenged myself to build a Django app and use VueJS for it’s frontend. There are a lot of Laravel and VueJS tutorials out there and even within Scotch. Actually VueJS caught the attention of Taylor Otwell, the creator of Laravel, so much so that he personally endorses it. I however struggled to find a good resource on combining Django and VueJS. Here&apos;s a tutorial that would have been an answer to my questions back then. A testament of my learnings so far. This is your gateway to having the VueJS&apos;s sweetness in a Django app. Later articles will dig deeper as I cover routing and state management. After each step, there is an link to the codebase as it should be after that step. It is said that simplicity is a prerequisite of reliability. Evan You must have been meditating on this saying when he thought of creating VueJS. During the past year it&apos;s become a favourite among developers. Compared to JS frameworks like Angular and React, many agree that VueJS&apos;s learning curve is the most gentle. This means it is easier to get the fundamentals rapidly. VueJS is backed by Laravel and JSFiddle and is at over 65,000 Github stars (as at the writing of this post). This Hello World example on JSFiddle is the best place to start. There are several resources that dig deeper to show you the building blocks of VueJS. The VueJS docs&apos; API and guide as well as these tutorials set you up on the road to success. Django is a Python framework that promises to be the web framework for perfectionists with deadlines. Django uses the MVC (Model, View, Controller) pattern dabbed MTV (Model, Template, View). To run the server simply run python manage.py runserver. Accessing http://localhost:8000/ on your browser will give you such a page: Don&apos;t mind the warning highlighted in red. They relate to the database which we are not concerned about for this tutorial. Quit the server with CONTROL-C and let&apos;s create our first view, shall we? Open the views.py file in the journal directory and these two lines. We then need to map this view to a url in order to call it. Simply put, we want to see this index.html when we get to a specific url on our browser. This is done by editing the newapp/urls.py. You&apos;ll notice that line 19 to 21 is a list called urlpatterns. Line 20 tells us that the url route admin is registered. This means that we have an admin dashboard ready for you out-of-the-box with Django. More about that later. If you are curious here is a link to the docs covering this. Since we want to display the index.html as the page served at http://localhost:8000/ we&apos;ll import the index function within journal/views.py and map it to the url route /. url(r&apos;^$&apos;, index, name=&apos;index&apos;), within urlpatterns. That&apos;s about it. Back to the terminal run python manage.py runserver access http://localhost:8000/ on your browser and voila your page is displayed. That was easy, right? We just added 4 lines of code, edited one line in the settings.py and added one file the index.html. This section is entitled Jinja templates in Django so let&apos;s see what that means. Jinja2 is a full featured template engine for Python which is both beautiful and powerful. I plan to tackle template inheritance and context handling for now. In the spirit of modularity, I&apos;ll split index.html into masterpage.html and days.html. To confirm everything is A-Okay, let&apos;s update the views.py by changing the index.html in " " (quotes) to days.html. Running the server at this point should not show any visual change. Take time to understand how index.html is now split into the two files: masterpage.html and days.html. At this point we can delete the index.html in the templates folder. So far, we have seen how the TV (Template-View) in the MTV (Model-Template-View) of Django is done. We can now incorporate VueJS. It is easy to get started with VueJS. We&apos;ll tweak the JSFiddle link I shared earlier to have it working in our view. First off, we&apos;ll import vuejs by including: <script src="https://unpkg.com/vue"></script> in the head of masterpage.html. Next, we&apos;ll go to days.html and sandwich the HTML paragraph tag - p and unordered-list tag - ul into a div of id=app. The name app is open to your discretion. Just remember to replace app hereon with the name you decide to use. Reload the page on your browser. At this point the contents of the page are being rendered by VueJS. On Google Chrome, you can install VueJS devtools here and you&apos;ll be able to see the data within the components. We have created a simple Django app touching on the TV (Template-View) of the MTV (Model-Template-View) of Django. We&apos;ve seen how we extend our views using Jinja2 template engine. We then concluded by replacing the context data with data from VueJS. In the next articles, we shall take develop the app further by adding CRUD functions to this app. CRUD means Create, Read, Update and Delete, thereby allowing the user to do these functions to their journal entries. 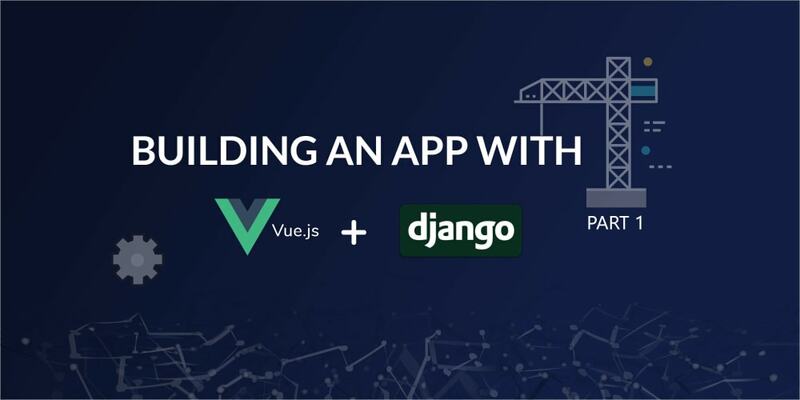 Secondly, because we are using VueJS and Django; we shall have contextual data from the DB directly consumed from the View Layer in Django as well as expose this data to API endpoints to be consumed by a separate VueJS application. This is to present you with an alternative way to build your app. I am a software and data engineer. I am passionate in IOT and enjoy breaking complexities into chewable bites :) I am an outdoors guy: camps, hikes ..